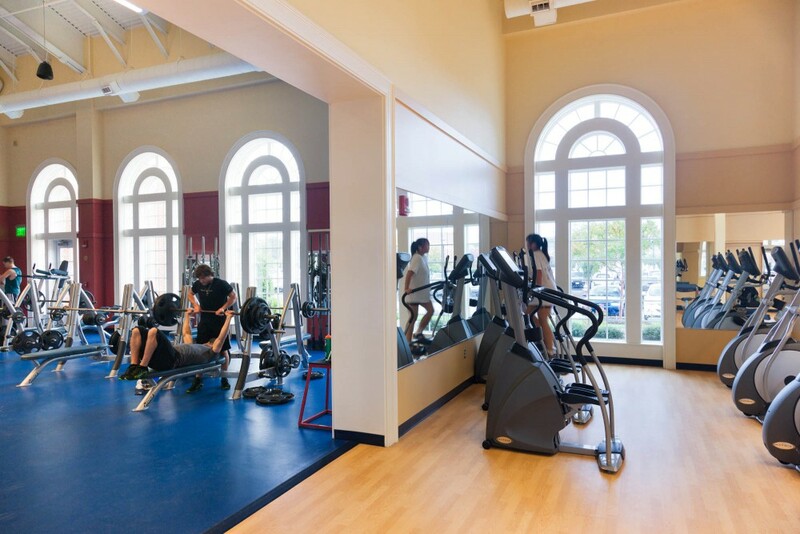 GLAVÉ & HOLMES ARCHITECTURE (G&HA) was asked to identify and research a building program that would provide space for a gym and fitness center, health services, student counseling, an auditorium, and meeting rooms. 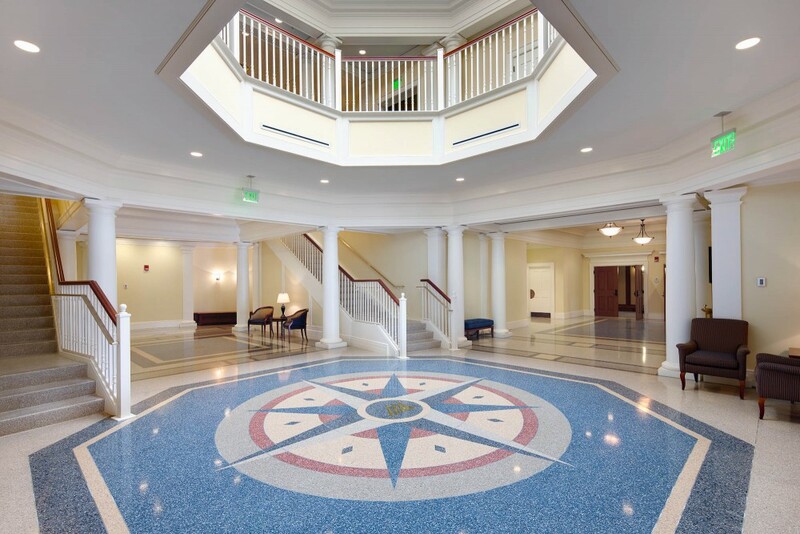 Subsequently, G&HA designed the renovation and 62,000 square foot addition to the Freeman Center, the recreation and fitness facility at Christopher Newport University (CNU). 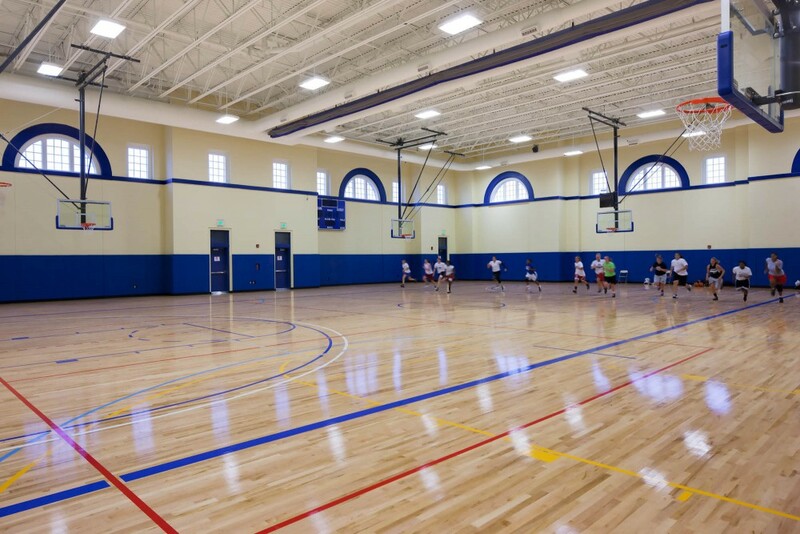 The resulting project increased the amount of recreation and meeting space for students, added student life amenities, and added additional practice space for the Athletic Department. 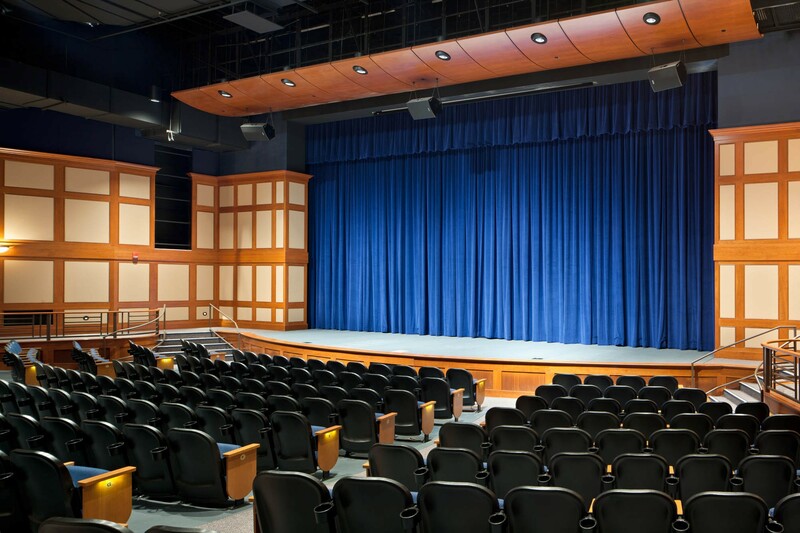 The new construction adjoins the existing structure and houses a new 385-seat performing arts space and student auditorium, meeting rooms, student lounge, a gymnasium, recreation spaces, offices, and ancillary building support. 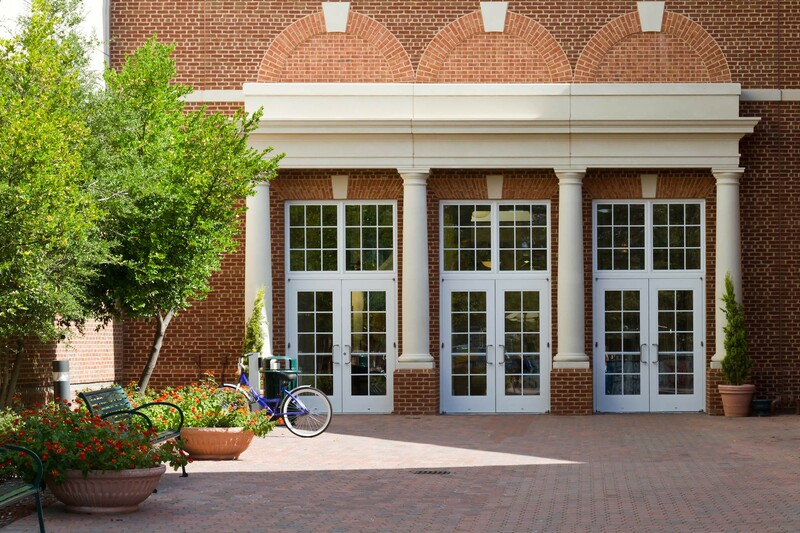 Facilities for Student Health and Counseling departments are also included in the addition. 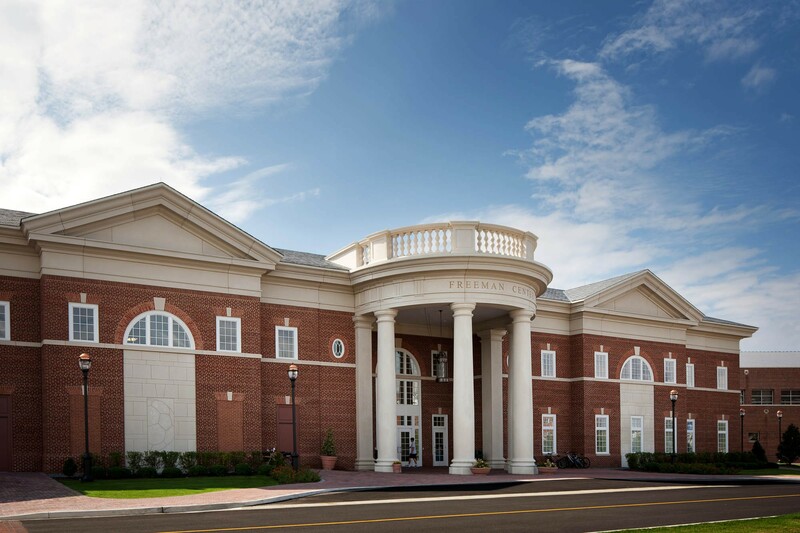 The Freeman Center is located on a primary edge of campus and faces a major public road. 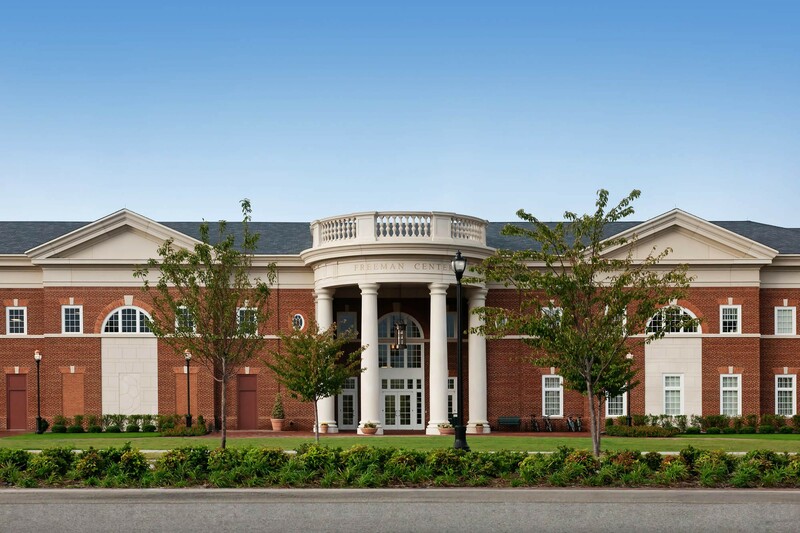 The project continues the Neo-Georgian architectural language mandated for the Christopher Newport campus, and presents a new face consistent with the scale and materials that characterize CNU buildings. 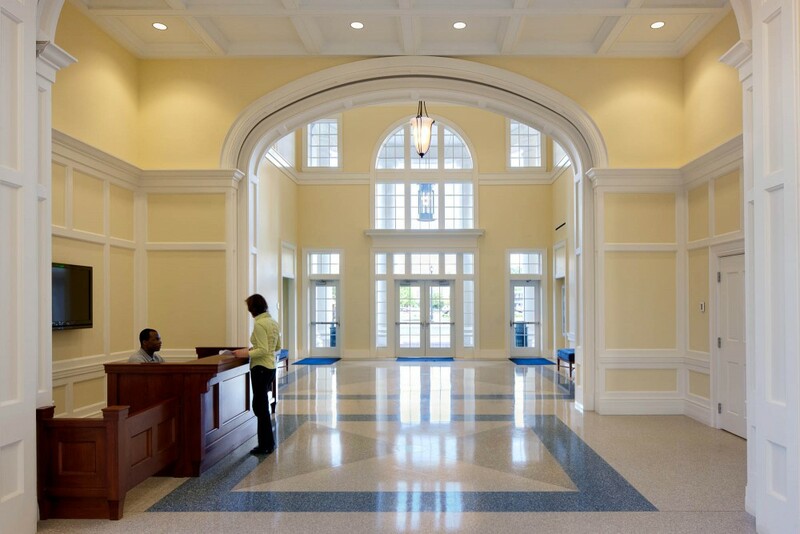 The main building entry was relocated and a new entry was created to align with a primary pedestrian axis connecting to the Great Lawn. Exterior precast panels featuring bas-reliefs of arts and sports imagery reflect the building’s primary functions.